Are you interested in tying the knot with your special someone but want to avoid all the expense, pomp, and circumstance with a big, elaborate wedding? 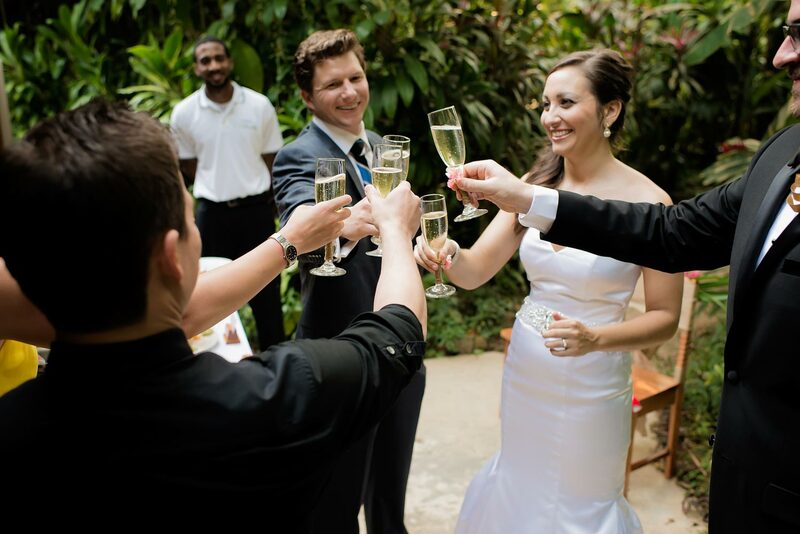 If so, there’s no better place to elope for your intimate wedding than beautiful Belize. Belize is a sub-tropical country with a climate similar to that to Miami and is almost completely covered in pristine rainforest. Yet despite its exotic appeal, Belize is surprisingly easy to get to. Five airlines – American, Delta, Southwest, Sun Country, and United Airlines – all fly non-stop to Belize from major cities across the United States like Atlanta, Chicago, Denver, Los Angeles, and Miami in just five hours or less. And when it comes to marriage requirements, nothing could be simpler. Belizean law only requires that both prospective spouses be 18 years or older and spend three days in the country before the wedding ceremony. And since everything is done in English, the marriage certificate is instantly valid in the United States or any other country around the world. And what a lovely destination Belize is. There are thick jungles to explore with an incredible range of biodiversity, including thousands of species of tropical flowers, over 600 different bird species, and exotic animals like tapirs, gibnuts, black howler monkeys, giant iguanas, and jaguars. And running through the rainforests are many beautiful rivers ideal for activities like canoeing, kayaking, and cave tubing (floating down underground rivers that pass through gigantic cave systems). Simply put, there are few pure and naturally beautiful landscapes than the Belizean rainforest. If that weren’t enough, Belize offers a ton of exciting activities to enjoy during your three-day wait before the marriage or on your honeymoon after you tie the knot. Fishing, horseback riding, zip lining, bird watching, rock climbing, rappelling, and swimming in the pools at the base of jungle waterfalls are just some of the options available. You can also climb to the top of colossal palaces and pyramids built by the ancient Maya. In fact, over 600 ancient Maya sites have been identified in Belize. Located in the heart of the rainforest is Caves Branch Jungle Lodge, a luxury destination that offers guests elegant suites, cabanas, and two-story tree houses. Caves Branch is the premier adventure center in the country and has a full range of exciting outdoor activities to choose from, including romantic overnight stays in a jungle cave. Ready to elope to Belize? Caves Branch Jungle Lodge has all-inclusive packages perfect for couples wanting to enjoy an intimate wedding in the heart of the pristine Belizean rainforest.